Should We Drink Milk to Strengthen Bones? For generations, we've been told milk helps build strong bones. But does science back this up? 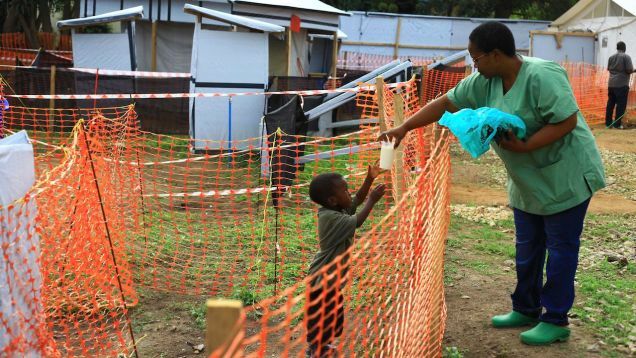 The World Health Organization (WHO) has decided not to declare a global health emergency in response to the Ebola outbreak that's currently taking place in Africa, despite large numbers of people dying every day. Data from more than 17,000 teenagers show little evidence of a relationship between screen time and well-being in adolescents. The study casts doubt on the widely accepted notion that spending time online, gaming, or watching TV, especially before bedtime, can damage young people's mental health. A state judge has ruled against one New York county's effort to stem a massive measles outbreak, arguing that the county cannot ban unvaccinated minors from public places. 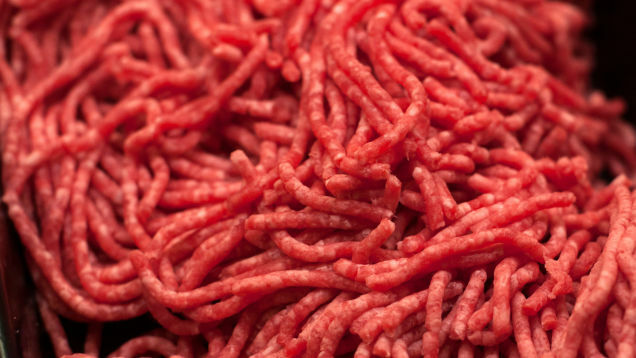 An E. coli outbreak with an as-yet unknown origin has reportedly sickened dozens of people across several states, according to the Centers for Disease Control and Prevention, prompting federal and state investigations into its cause. If you need another reason to advocate for the legalization of marijuana--a new study shows why weed sold illegally on the street is more likely to have unacceptable levels of feces in it. A suite of genetic tests used to predict a person's response to specific medications is being marketed illegally by its manufacturer, Inova Genomics Laboratory, as the tests aren't backed by scientific data, alleges the U.S. Food and Drug Administration. The U.S. Food and Drug Administration has announced that it is investigating a potential link between seizures and vaping after receiving dozens of voluntary reports over a nearly 10-year period. We know that regularly getting some exercise, no matter how little, can keep you alive longer. But new research out Monday suggests that even an hour's worth of walking per week can help older adults with ailing knees avoid painful, isolating disabilities down the road. Doctors across the U.S. may soon be required to provide women with more information about their mammography results. This week, the Food and Drug Administration announced plans to update a rule that would mandate doctors tell patients if they have dense breast tissue, a complicated risk factor for breast cancer. County Bans Unvaccinated Minors from Entering Public Spaces, a First in the U.S.
A Kentucky teen and his family are suing their local health department over its attempt to protect the public from the chickenpox virus. Cardiologists delivered some surprising news over the weekend: Contrary to previous recommendations, most healthy people should not be taking low-dose aspirin to prevent heart disease, according a report from the American College of Cardiology and the American Heart Association. One of the major instigators to the opioid crisis is looking to sell its own drug to save people from deadly overdoses--but the company swears it won't be pocketing the profits. Breakfast sandwich fans beware: Eating too many eggs might be bad for your health... again. A new study released Friday found that daily consumption of a certain amount of cholesterol, a key nutrient of eggs, is linked to a modest increase in the risk of cardiovascular disease and early death. Amazon has pulled two books peddling pseudoscientific "autism cures" that promote giving children potentially toxic chemical baths and medication for mercury poisoning. Italian schools have begun turning away children who have not received mandatory vaccinations after a temporary waiver expired, the New York Times reported on Tuesday, with at least 300 children told they could not attend kindergarten in the city of Bologna this week. A sobering new study out Monday suggests that many preteens who visit the emergency department could be in dire need of help to address their suicidal ideation. It found that a substantial number of children between the ages of 10 to 12 who went to the hospital screened positive for suicide risk. Will 23andMe's New Type 2 Diabetes Test Actually Help People Be Healthier? The Big Apple is staring down a problem it hasn't seen in roughly eight years: rabid raccoons in Manhattan. Amid two ongoing measles outbreaks on both sides of the United States, New York City health officials say an unvaccinated student who was permitted to attend school was linked to 21 other cases of the virus. Dozens of people have been infected since last fall in the city's ongoing outbreak, one of particular magnitude. I Love Vaccines. Which Ones Can I Get as an Adult? Love 'em or hate 'em--and many, many do--e-scooters are taking cities across the globe by storm. But amid ongoing reports that people are seriously messing themselves up on these things, the Centers for Disease Control and Prevention decided last year to take a closer look at why this is happening. Ketamine Is Now an FDA-Approved Depression Treatment, but Who Will Be Able to Get It? The U.S. Food and Drug Administration has approved the first new kind of depression treatment seen in decades, a nasal spray drug based on the sedative ketamine. NHS England chief Simon Stevens is among the many officials publicly addressing the wave of social media campaigns spreading dangerous misinformation about vaccinations amid ongoing preventable outbreaks. After unveiling plans back in November to restrict the sale of some flavored e-cigarette products in stores, Food and Drug Administration Commissioner Scott Gottlieb may have taken a significant step this week in advancing the proposed policy. I've now spent four weeks eating a diet that scientists crafted to demonstrate how all of humanity could eat sustainably in 2050. And over the past two days, things went off the rails. Sorry, Earth (also sorry, body). Moms and dads shouldn't expect their sleep habits to bounce back to the way they were before kids for at least the first six years of their child's life, according to a new long-term study involving nearly 5,000 parents. As the measles outbreak in the Pacific Northwest continues to worsen, an Arizona House panel has approved multiple bills to expand vaccine exemptions in the state, the Arizona Republic reported Friday. The Centers for Disease Control and Prevention said last week that it ended its investigation into an ongoing Salmonella outbreak linked to various raw chicken products. It was unable to identify a common source during the outbreak that sickened dozens since it started in January last year, the agency said. Accepting medical help in this country is often no easy task, especially given rising health care costs. So it shouldn't come as a surprise that plenty of people in need of emergency care first turn to Dr. Google for advice, according to a new study out Thursday. Earlier this month, a National Park Service safety manager sent a "rogue" email alleging the improper storing of radioactive material at a Grand Canyon facility frequented by children, the Arizona Republic reports. Thousands of people have been infected in a measles outbreak that has been linked to the deaths of 136 people, according to the Philippine health secretary on Monday. The Associated Press reported that most of those who died were young children, with roughly half between the ages of 1 and 4. Hundreds have fallen ill in a Salmonella outbreak tied to raw turkey, with the Centers for Disease Control and Prevention reporting more than 60 new cases in 24 states since its last report in December. Facebook is considering ways it could prevent the spread of dangerous anti-vaccination content on the platform. Senator Ron Wyden of Oregon today proposed legislation that would decriminalize cannabis at the federal level and allow states where weed use is legal to operate as they see fit without fear of a U.S. government crackdown. 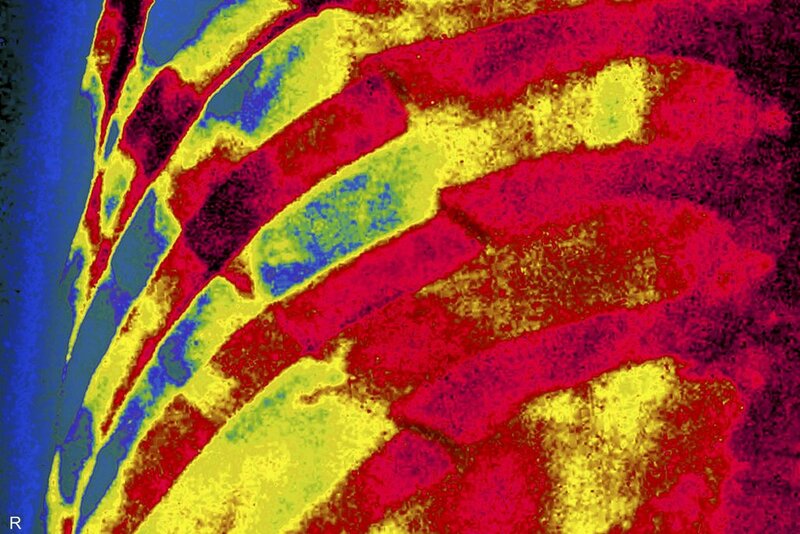 New research published on Tuesday may help radiologists identify survivors of domestic abuse through the study of x-rays. Gene therapies are very much at their preliminary stages of development, so it would make sense to keep tabs on patients whose DNA has been modified via the innovative CRISPR technique. For some scientists in China, however, this is apparently not a priority. Just two weeks out from the biggest turkey-focused day of the year, the Centers for Disease Control and Prevention reported Thursday that 164 people across 35 states have fallen ill from Salmonella-tainted raw turkey.